OSEA Emerging Scholars Research Conference. 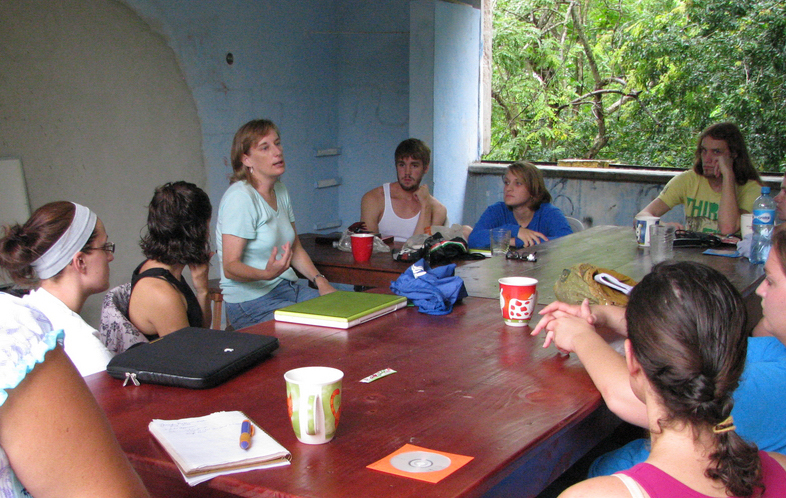 Ethnography of Yucatan, Maya Ethnography, Advanced Seminar in Anthropology. Tourism in the Maya world, Tourism Development, Ecotourism. Anthropology of Tourism, Tourism Working Group, UNESCO Heritage, Mexico World Heritage, Latin American Anthropology, Quetzil Castaneda, Juan Castillo Cocom, Ronda Brulotte, Maya civilization, Maya calendar, Maya 2012, New Age Prophecy, Chichen Itza, Ek Balam, Valladolid, Merida, Yucatan, Quintana Roo, Universidad Intercultural, Maya revitalization, tourism impact, impact of tourism, ecotourism, sustainability, globalization. Emerging Scholars, new research, tourism conference, tourism studies, anthropology of tourism, Wenner Gren Workshop, Lynn Meskell, Mark Leone, Ann Pyburn, Lisa Breglia, Hugo Benavidea, Jeff Himpele, Richard Handler, Christopher Matthews. The Seminar takes place over four days which allows for between 8-10 presentations, maximum of 12, each lasting roughly an hour to an hour and fifteen minutes. An additional day could be added to accommodate additional participants or additional time for attaining seminar objectives. Each presentation includes the delivery of a paper, a constructive critique or commentary by a designated paper-giving participant, and a period of open commentary by all participants. Time is slotted for intensive dialogue on the Seminar issues. The research seminar is structured to have an opening reception, a closing discussion regarding publication potential, and a final social event. Additional group activities involving visiting Pisté and Chichén Itzá as well the screening of documentaries related to the theme issues. Due to the time pressure to make sure the emerging scholars are always the primary focus of the event, we eschew plenary or honorary presentations by established scholars; rather we encourage participation and perhaps presentations by interlocutors who are specifically invited for their abilities to contribute to this dynamic. The Research Seminar is restricted the active participation to 8-12 paper-presenters. In addition the seminar includes non-presenting participants. These include the organizers themselves and individuals who are offered special invitations to participate in the conference as audience and interlocutors. For this role of interlocutor we select persons, on the one hand, for whom travel to the venue would not be an imposition, given that their participation would be financed out of pocket. On the other hand, we seek out persons who we feel can contribute their expertise and experience to the process of both deepening the dialogue about the research issues and/or offering mentorship to the junior participants. Every paper-presenting participant would have two roles. One role is as presenter and the second role is as commentator of a paper. Each presentation would therefore consist of a paper, a designated commentary, and then open discussion. Presenters are asked to circulate the draft of their paper to all participants in advance of the seminar. Commentaries are developed for presenters to further develop the publishable quality of the papers. During the conference additional “extra-curricular” activities can be offered. These include time outside of the seminar to discuss papers, network, and to visit the local sites. OSEA is also committed to developing the seminar as a venue for visual anthropology and the work of person developing ethnographic film and documentaries. Thus, screenings of films with discussions of films related to the seminar concept-theme are envisioned as part of the seminar dynamics. The research seminar is hosted by OSEA at its facilities in Pisté, Yucatán, México. This location is ideal for several reasons. It is easily accessible within 2-3 hours from metropolitan cities and airports of Cancun and Mérida. While Pisté itself might be considered rural, it has elements of a city that are important, such as a diversity of lodging types ranging from family run posadas to four-star hotels, inexpensive restaurants, and world class international cultural heritage attractions, i.e., Chichén Itzá. Further, for anthropologists working in Latin America, this would be a welcome opportunity to visit and learn first-hand about the “ethnographic context” of Pisté and Chichén Itzá. The OSEA facility is undergoing renovation and expansion. Currently the center has accommodations with three bedrooms, a library, high speed internet, a large seminar room to accommodate 20 persons, and an outside meeting place (palapa). Grounds include two garden areas, an unexcavated Maya pyramid, and an underground cenote. The Research Seminar is run by OSEA on a not-for-profit basis. The work put into the seminar by OSEA staff is provided without cost and the facilities are used without charge. OSEA requires a nominal registration fee. In 2011 we asked for $400 pesos / $35 US contribution, that covered the costs of shared consumables during the event itself, such as for receptions, group activities, and "coffee" breaks during the seminar. Participants therefore pay for their transportation, lodging, meals, incidentals, and the registration fee expenses out of pocket. Low budget and high quality lodging and meals are estimated at $20-25 and $9-13, respectively; this is a daily total of $30 to $40 or $120-$160 for a four day event. Travel by bus to Pisté from major transportation points in the Peninsula, can range from under $10 US (Mérida) to $15-20 (from Cancun, or Playa del Carmen). The major cost is airfare. Flights from the USA to Cancun range from $350-$550; unless flying via Houston, Mérida is always more expensive than Cancun. Flights within México are cheaper to Mérida than Cancun: México City to Mérida range from $120 to $200; Oaxaca to Mérida are in the $350-500 range while Oaxaca to Cancun range from $500 to $650. Estimated total of per diem, ground transportation & fee is $160-$200 per participant. Estimated airfare ranging from $150 to $600 depending on point of departure. Submission Deadline. Proposals for papers and requests for screening ethnographic film are accepted through mid-spring. Please check for current deadline on the appropriate information page. OSEA is converting to a new online application system for 2012. As of January 6, 2012 the system continues to be developed.